Rick Tullis, equipped with steadicam, working on a feature film in Chengdu, China. He shoots for news channels as well as working on larger projects including feature films. 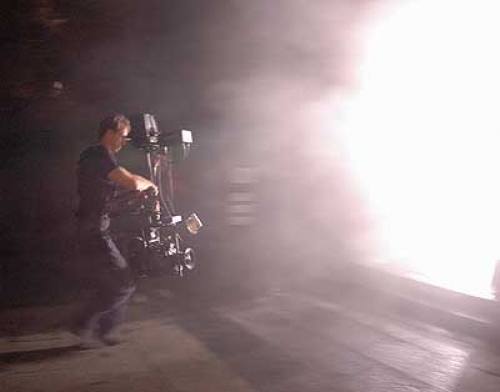 23.06.2006 Rick Tullis, equipped with steadicam, working on a feature film in Chengdu, China. He shoots for news channels as well as working on larger projects including feature films.